It seems like just yesterday that I was reviewing Mawwal's 2011 release Sight Up and wondering what they could do to top that excellent disc, but they have. As evolution goes, the distance between that album and High Hills... is not as far as from their predecessors Black Flies and This Is All There Is, There Is No Other Place (both 2007), but Mawwal's world-fusion vision is still developing and moving forward, finding new ground to travel. The core of the band is leader Jim Matus (laouto, laoutar, baricello and vocals), Joe O'Brien (bass, fretless bass), Jill O'Brien (vocals) and Tony Vacca (balafon, percussion), plus a number of additional players contributing violin, bansuri flute, drums, dumbek, riq, tablas, kalimba, percussion and more, track depending. Latvian vocalist Laila Salins sings on five cuts, and Brand X bassist Percy Jones plays fretless bass on one. On one hand, their music mines the rich Middle Eastern and North African traditional sounds, while the other hand adds the driving grooves and power of rock and a touch of jazz, making for one intoxicating potion. 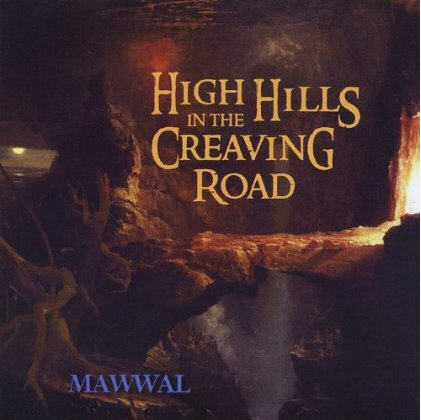 Unlike artists who have approached similar world fusion from the jazz side (Embryo, Don Cherry, Oriental Wind, and others), Mawwal's approach is heavy and forceful, densely imbibed with bass grooves and percussion, and more at home within an overall rock parlance. All taken, theirs is an adventurous and visionary sound that's easy to savor. Another solid recommendation.